The aircraft carrier USS John C. Stennis transits the Straits of Hormuz in this U.S. Navy photo from Nov. 12, 2011. The Pentagon is sending the aircraft carrier USS John Stennis to the Persian Gulf region four months ahead of schedule as tensions rise over Iran’s nuclear program. An eight-month deployment will be twice as long as originally planned, defense officials told NBC News on Monday. The major shift in the Stennis deployment comes as Iran renewed its threat to shut down the Strait of Hormuz over tighter international sanctions and the possibility that Israel may launch pre-emptive airstrikes against Iran's nuclear facility. About 40 percent of the world's seaborne oil exports pass through the strait. 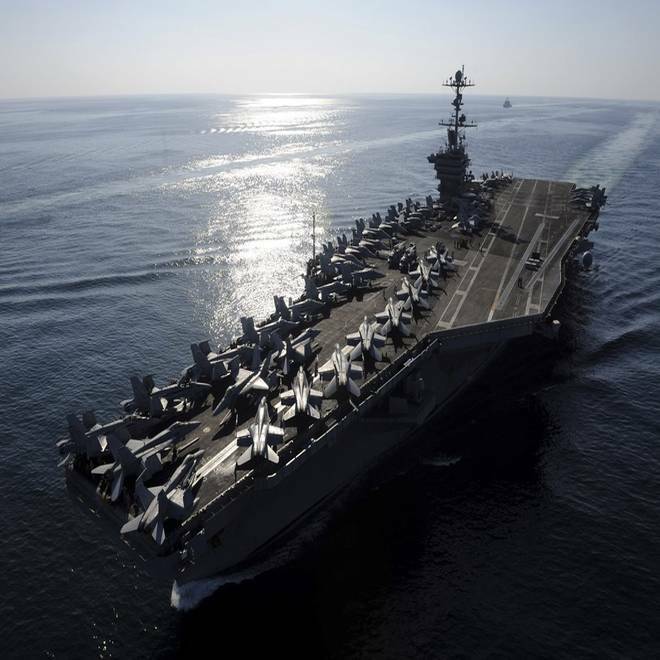 The shift and extension of the Stennis deployment will allow the U.S. Central Command to keep two aircraft carriers in the Persian Gulf region, Gulf of Oman and North Arabian Sea, not only as a hedge against Iran, but also to support combat air operations over Afghanistan. The carrier USS Lincoln left the Persian Gulf area Monday. The carriers Enterprise and Eisenhower will remain in the region until the Stennis relieves the Enterprise about five months from now. It will take the Stennis about a month to reach the region. The Stennis, whose home port is Naval Base Kitsap in Bremerton, Wash., is at sea in the Pacific, the Navy said.